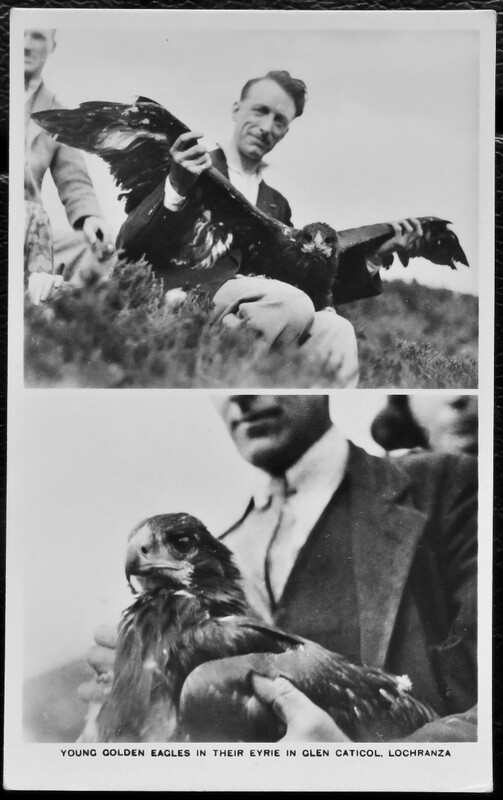 Recently I received this intriguing image of a postcard "Young Golden Eagles in their eyrie, in Glen Catacol, Lochranza". It was intriguing at a number of levels, the clothes being worn, the strange design with the split view and the unusual subject matter from a time before it was felt necessary to have a license to be at a Golden Eagle's nest. A number of questions came to mind including: Who were these people? What were they doing? When were these photos taken? Why was the card made? On the back of the card it states simply "Steens Series Real Photocard".